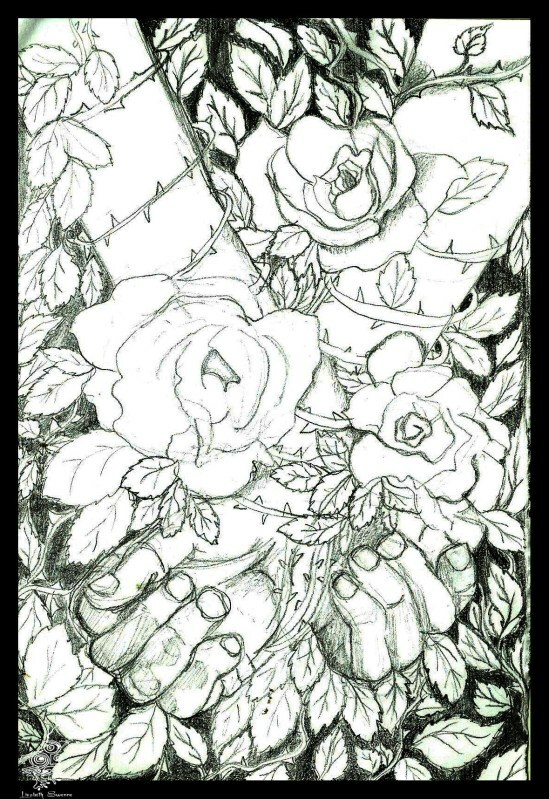 Dream drawing idea: hands crossed and overgrown by white roses and leaves with thorns. The arms and hands are also white. The leaves will be green , dusted with some snow.